For a team in a funk like the one currently hounding the Athletics, the worst thing that can happen is giving up a three-run homer. With the entire roster slumping over the past week — no player batting over .211 — the Oakland offense is hardly in position to overcome a three-run deficit. Daniel Gossett avoided that one debilitating swing Tuesday night, though he did serve up a trio of solo homers in a 10-pitch span. C.J. Cron (12), Joey Wendle (2) and Wilson Ramos (7) became the first Tampa Bay teammates with back-to-back-to-back homers since Sept. 21, 2016 — fourth in franchise history — in the third. Blake Snell did the rest, holding the A’s (28-27) to two hits and one run to give the Rays (27-26) the 4-3 win. The A’s bats did eventually show some life, hanging two ninth-inning runs on Sergio Romo (S, 1, 6.33 ERA). The late rally wasn’t enough, though, due to fourth Rays solo homer off the bat of former A’s farmhand Daniel Robertson (6) off Ryan Dull, whose woes continue. 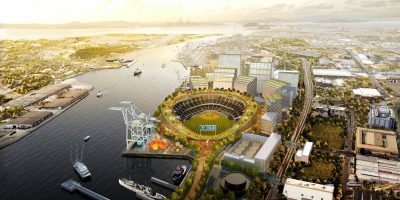 Oakland also put together a threat in the eighth, one that was identical to the second-and-third, no-out situation from which they drew two in the ninth. The first time, however, Jed Lowrie, who ended the Oakland offense’s 17-inning scoreless streak with an RBI double, his first of two hits, in the third, was sent down on strikes. As was Mark Canha, making his season debut in the cleanup spot, before Chad Pinder ended the threat with an innocent groundout. The skipper made sure to acknowledge the role Snell (W, 7-3, 2.56 ERA) had in his team’s quiet night. The big lefty allowed just two hits, two walks and one unearned run in his 5-2/3 seven-strikeout innings. The bailout came from Matt Chapman, as it has come to be expected. Chapman made three plays that few other major league third basemen are capable of making, lunging to snag liners and showing range in both directions along with the arm that makes him a virtual lock for a future Gold Glove. To top an evening chock-full of web gems, Chapman needed assists from Matt Olson, Marcus Semien and even Rays right fielder Carlos Gómez. Johnny Field, who had already been victimized by Chapman’s defense Monday, sent a hot roller into the hole between third and short. Chapman took three quick steps to his left before diving to make a forehand pick, then popped to his feet and fired to first in time to get the speedy left fielder. 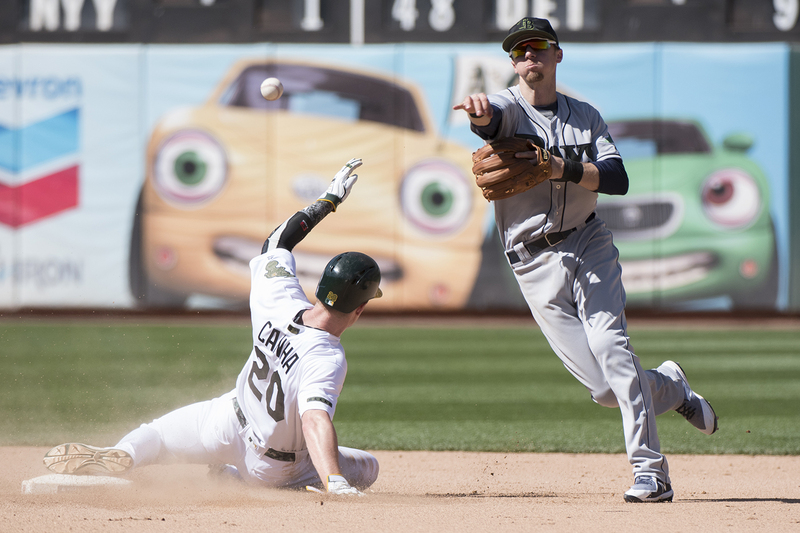 Olson flashed the accuracy of his own arm, sending the ball right back to third where Semien had circled around Chapman to cover third and apply the tag to Gómez, who kept with his own standard of over-aggressive base running. In total, the A’s defense recorded three outs on the base paths — not including another three on two fielder’s choice putouts and a conventional double-play grounder. 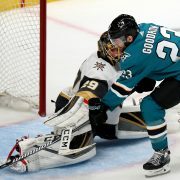 But the offense was unable to earn the payout, falling one run — one hit — shy of its first five-run game this home stand, what it would have needed to win. Sean Manaea (5-5, 3.34 ERA) makes his last start of May Wednesday looking for a hint of positivity before heading into June following one of the worst months of his career. Manaea, the American League Pitcher of the Month in April, has gone 1-3 with a 7.18 ERA through his first five May starts. He will face Nathan Eovaldi, who will come off the 60-day disabled list (right elbow surgery) to make the start for Tampa Bay. Eovaldi has not pitched in the big leagues since Aug. 10, 2016. 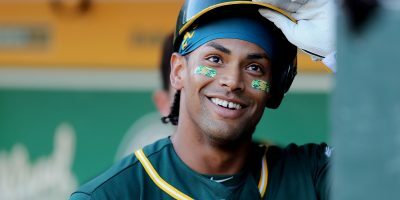 Designated hitter Khris Davis (groin strain) is eligible to come off the 10-day disabled list Thursday and is expected to be activated in time to be in the lineup for the series finale with the Rays. Since Davis, the A’s home run leader (13), suffered a Grade 1 right groin strain on May 20, the A’s have scored just 16 runs (2 runs per game), going 3-5. … Paul Blackburn (right forearm) will get his first rehab assignment Thursday, pitching for Single-A Stockton. Blackburn, who went 3-1 with a 3.22 ERA in 10 starts last season, has not pitched in 2018 since straining his right forearm late in Spring Training. … Frankie Montas, who made a spot-start Sunday earning a win matching a career-high with seven strikeouts in a six-inning one-run outing, was officially named the A’s starter for Friday’s game in Kansas City. … Rays rookie Jaime Schultz, 26, made his major league debut Tuesday striking out all three batters he faced in the seventh. … Emilio Pagán continued his successful return to the big leagues, tossing two perfect frames with four strikeouts. He has now worked 6-1/3 scoreless innings with two hits allowed and seven strikeouts in three outings since being recalled on May 19.